Everyday, we are thankful because we wake up everyday. It is a God's blessing that everyday we are able to see the beauty of the day. Have you ever wondered how we have that life, how we continue living which one of the most precious gift that men have received. So I will discuss here the basic where our life all began. The human body is a composition of smaller parts that make us a whole, we have a body and the soul/spirit. In this life that we have, our main body's building blocks are the cells. 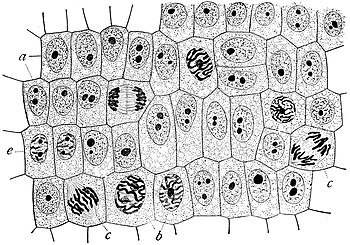 We have around 10^13 (10 trillion) cells in our body. This makes up the tissues, organs, the body systems and of course our whole body. The cell lives and dies every day. About 10% of our cells renews every day that is why we need at least 6 to 8 hours of sleep a day. The cells when powered by food survives, makes us alive and happy. Our cells consumes proteins, glucose, nutrients and amino acids to produce ATP (Adenosine Triphosphate), The ATP powers a part of the cell called the mitochondria, wherein some DNA (Deoxyribonucleic Acid) resides. The small factories for our cells are called the ribosomes, which digests and prepares the nutrients for our cell to use. The cell wall protects the internal and external parts of the cell. Organelles are called the smal parts of the cell like our body, we have body organs. Our cells live because we consume the nutrients we take into the cell and the organelles process it for use. This is how we live everyday. Our cells die and replenish everyday. See later the how diseases begin, and how the cells are affected that makes us sick.